Coming from Harpenden take the A1081 St Albans Road, at the roundabout just after the Cricket Club turn right onto Redbourn lane, follow the road and you will see us on the right. If you are heading to Harpenden, the village will be on your left, go left at the Hatching Green roundabout and we are a few hundred yards down on the right. 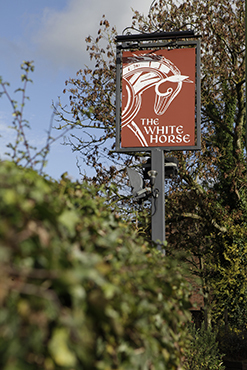 The White Horse has a large carpark to the side of the pub. The White Horse at Hatching Green is nestled in the Hertfordshire countryside between Luton and St Albans. 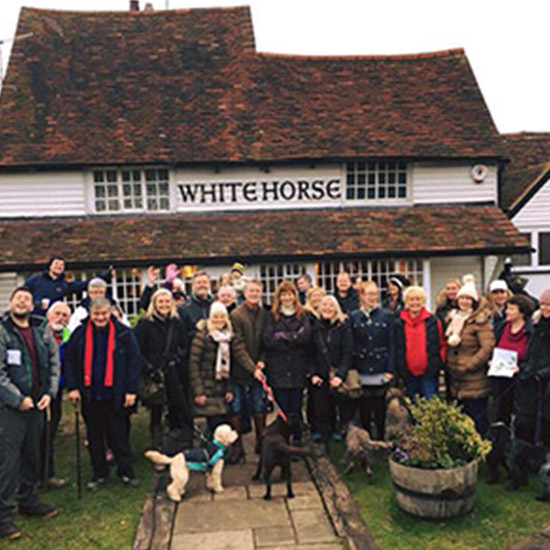 iFootpath have kindly created a circular walk from the pub to help you work up that thirst/appetite.